So called ‘urban warriors’ who are inseparable from their bikes have one major pet peeve. They would like to cycle around the city but sometimes just have to be able to use public transport. Most bikes are simply unfoldable, some bikes are foldable but heavy and at the opposite end of the spectrum, most lightweight racing bikes are also not foldable. 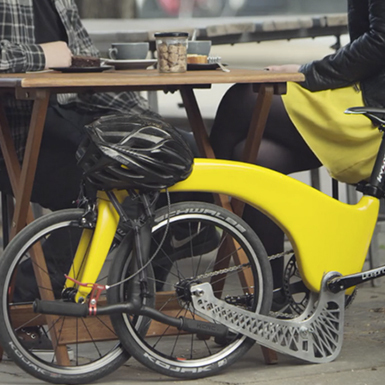 One brand saw that gap in the market has developed a bike that has both these advantages: light as a feather and foldable. The Hummingbird Bike Company’s bike is only just a bit over 6.5 kilos, about the same as a racing bike, and almost 3 kilos lighter than the average folding bike. 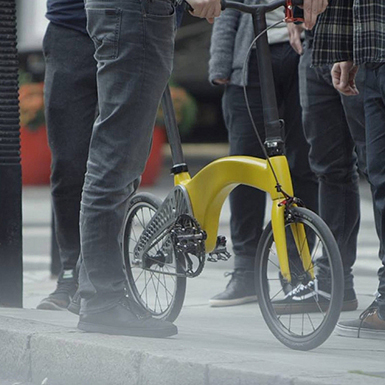 It’s made of carbon fibre, not aluminum, which accounts for its minimal weight and comfortable riding, as it absorbs more of the bumps in the road. 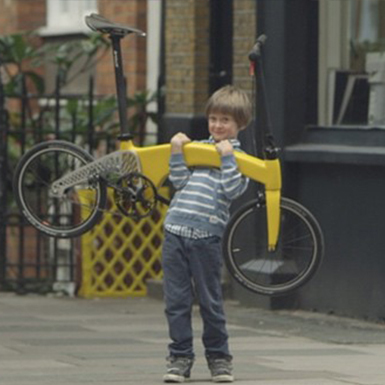 In addition, you don’t have to mess about with the chain when you fold it open, because the Hummingbird Bike folds the back wheel underneath the frame, instead of splitting the bike’s middle.